When I was writing my book, I had a thought of encouraging other military spouses with some of my experiences. About a year into the process of putting it together, I had a long talk with my publisher about the format. 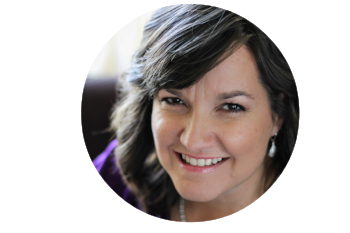 I felt that, in just telling and recounting stories of what I'd learned from decades as a military wife, I was leaving out one of the most important aspects of what had gotten me through--my faith. You see, in leaving that part out, I was leaving out the biggest part of me. So we went back to the drawing board, reformatted, and rewrote the entire thing as a daily devotional, complete with the spiritual aspect and daily Scripture readings. Phew. Not exactly an easy task, but one I'm so glad we did! I've had it on my heart for some months to share a few of the verses that have gotten me through years of separations and deployments, so I'd like to share those with you. God's Word has seen me through long nights, busy days, wondering how to help my kids cope with yet another separation from their dad, and the feeling that I didn't have the strength to do this another day. I have read these, said them aloud, and meditated on them through dark, wakeful nights and lonely moments. Why? Because the Bible is powerful, and I need to be reminded regularly of the truth. If you're currently going through a separation, long TDY, or your spouse is deployed to a dangerous location, I hope you'll find comfort in reading through these and being reminded that the God of the universe knows your circumstances exactly and is with you always. I've included a visual (I'm very visual, so I figure someone else is, too!) of the Bible references for you to save, print out, or refer to later. All verses are NIV unless otherwise noted. Hear my cry, O God; listen to my prayer. From the ends of the earth I call to you, I call as my heart grows faint;lead me to the rock that is higher than I. For you have been my refuge, a strong tower against the foe. Consider it pure joy, my brothers and sisters, whenever you face trials of many kinds, because you know that the testing of your faithproduces perseverance. Let perseverance finish its work so that you may be mature and complete, not lacking anything. Need more encouragement for deployment or military separation from your spouse? 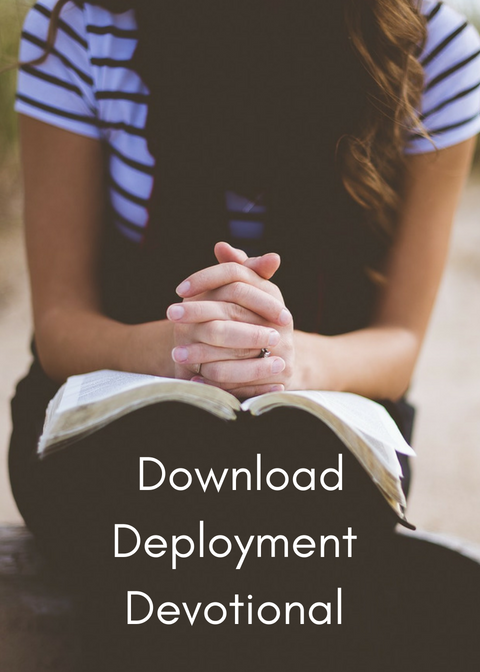 Click the image below to download your FREE 5-day deployment devotional and listen to the Milspouse Matters podcast here. Stay updated with even more resources for your military life! 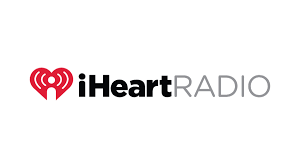 Sign up with your email address to receive news and updates. We will never spam you. Get my book for more encouraging content!